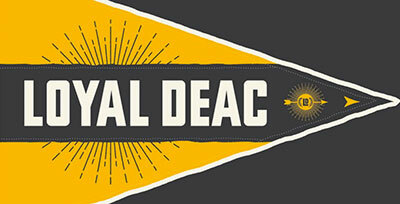 Deacs Decide is a highly collaborative, campus-wide political engagement project. 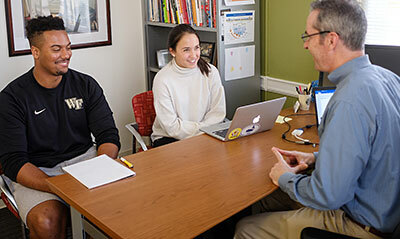 The program aims to raise awareness about issues at stake in the midterm election; educate the campus and Winston-Salem community; and register students, faculty, and staff to vote. 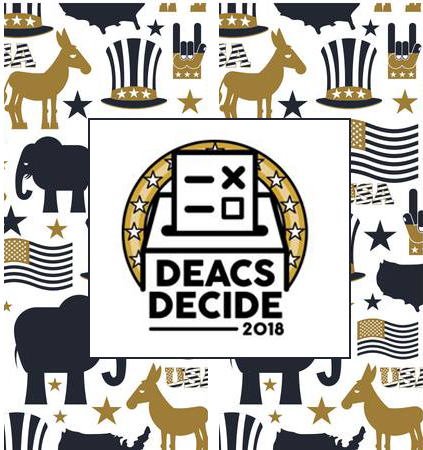 Deacs Decide offers a variety of opportunities to create relationships across difference, examine issues critical to American elections, build competencies for engaged citizenship, and experience American democracy. Students lead deliberative dialogues, campaign for candidates, participate in “teach-in” sessions with faculty, and register others to vote. Volunteer to work on a political campaign. Do you want to learn more about politics? Are you interested in supporting a specific candidate? We are happy to connect you with local campaign work. Engage with civic organizations and issue campaigns. Host or co-sponsor a Black & Gold Dialogue on a political issue. 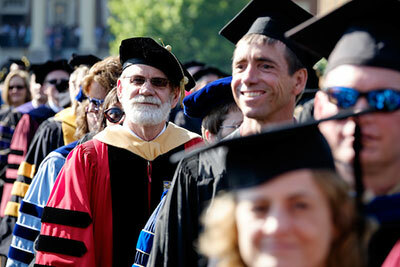 We would love to assist your organization or student group in sponsoring a dialogue. Train to watch the polls on election day! 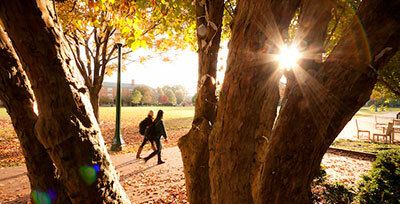 Democracy NC will host a training on campus for students who want to be poll monitors. More information coming soon on the Pro Humanitate website. To learn more, visit the Pro Humanitate website.